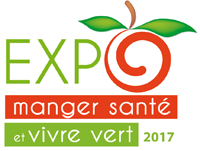 Again this year, Aliksir invites you to come see us during the Expo manger santé et vivre vert. We will be in Quebec March 18th and 19th, and in Montreal, March 24th, 25th , and 26th. We will be very happy to give you a taste of our already famous Creamed honey 25+. We will also present to you our Buying groups, entirely supported by a brand new online module and Website.